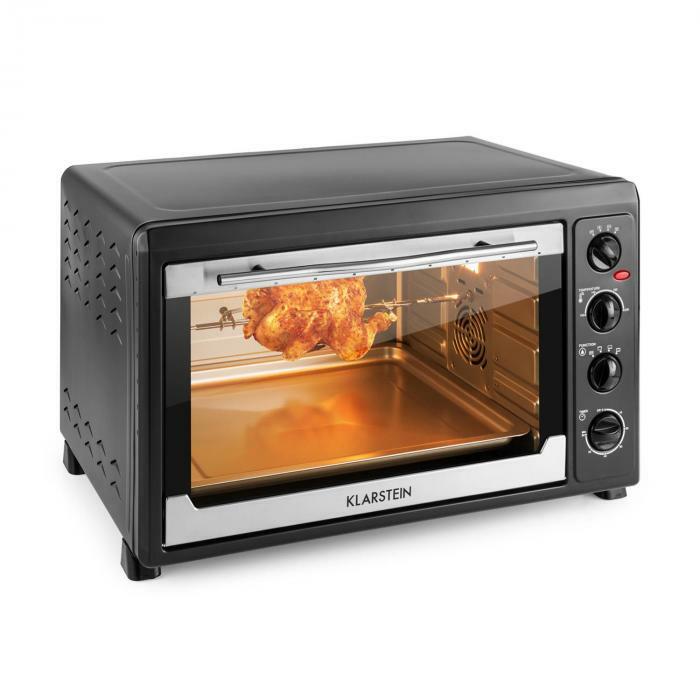 The Klarstein Masterchef 60 mini oven is the entire all-around mini kitchen for small households with limited space, allotments or permanent campers. 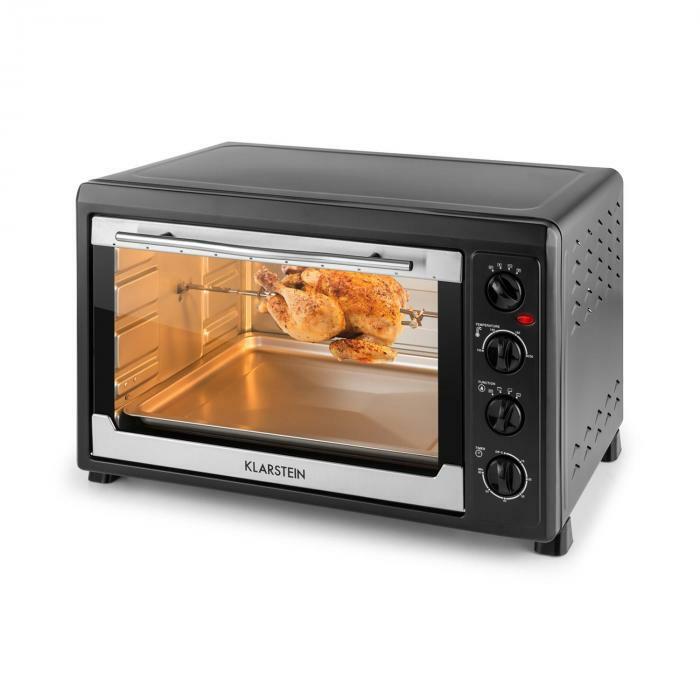 Whether you want to cook entire meals, pizza, cakes or roast chicken, the Masterchef meets all your needs and stands out visually with its attractively designed stainless steel housing. 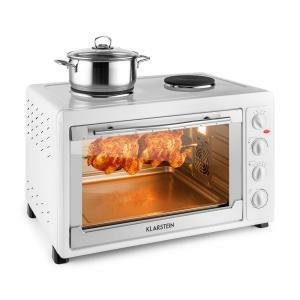 The main cooking space of the Klarstein Masterchef is the very spacious oven with 60 litres of volume. Here you can cook not only one but two chickens at one time - even a whole duck or a hearty pot roast will fit without problems in the cooking chamber of the Masterchef. 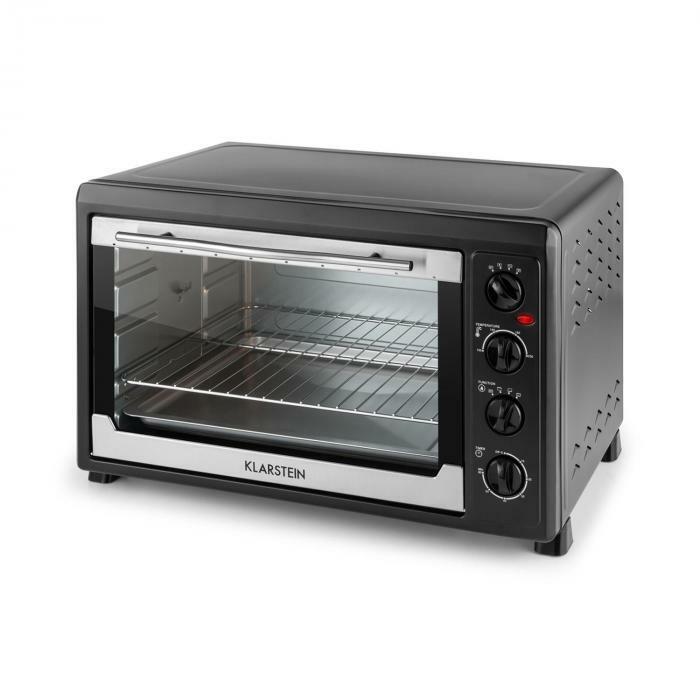 This makes the oven suitable for not only singles or small households, but also for meeting the needs of larger groups when guests are visiting or family events are taking place. 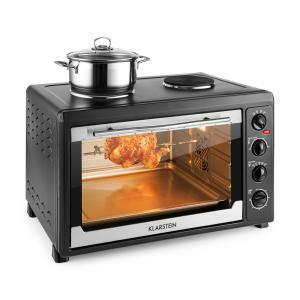 With up to 2500W of power, the Masterchef cooks all dishes without breaking a sweat. For operation, the device features four easy-to-understand knobs. The mode switch chooses between circulating air, rotisserie and composite operation. 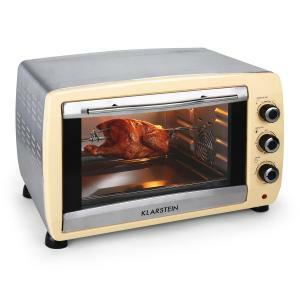 If the rotisserie spit is activated, you can give chicken, gyros, roasted legs of pork and more a crispy browning. A thermostat allows the continuous selection of a cooking temperature between 100-230 degrees Celsius. The 3-stage function switch specifies whether upper heat, lower heat or both upper and lower heat simultaneously are to be used. In addition, the Masterchef's included baking tray and grill can be used. Four shelf levels are available for positioning. 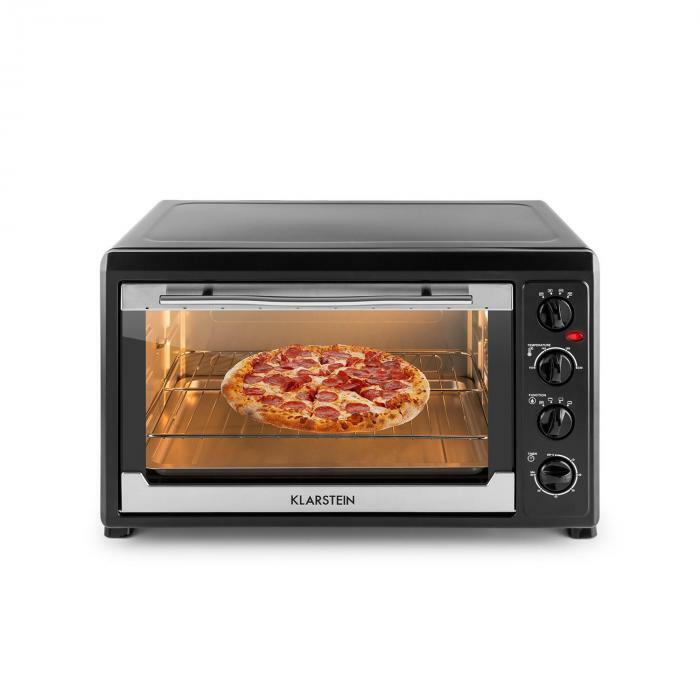 A built-in timer from 0 to 60 minutes may be set, which sounds an alarm tone at the end of the allotted cooking time to facilitate the preparation of time-critical dishes. Available colours: black, white (item 10029191). Good oven but the internal bulb blew the second time we used it.